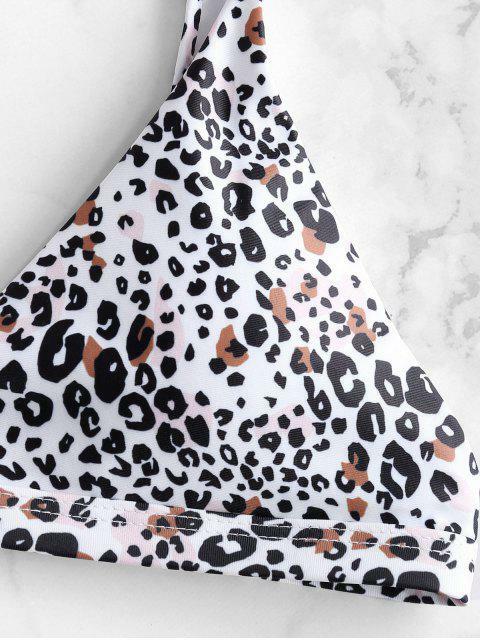 [12% OFF] 2019 ZAFUL Leopard Bikini Set In MULTI-A | ZAFUL .. Comfortable and of fantastic material. the pattern is so fun and playful, looks just like the pictures. True to size, and the wider side bands fit well on the hips! A slight adaptation of the classic triangle bikini top, this version is created with removable padding and adjustable straps for a perfect fit, as well as a pair of greatly shaped bottoms to accentuate that booty.